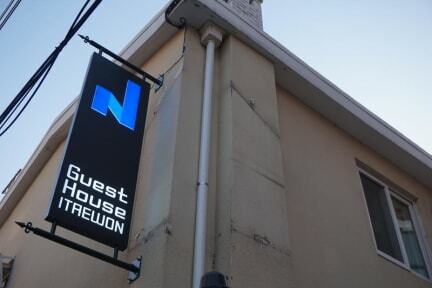 Itaewon N Guest House opened on March 2015, located just 4-minutes walk from Exit 4 of Itaewon Subway Station (Line 6). N Guest House offers private, 4 Beds and 6 Beds dormitory-style rooms with free WiFi. Featuring a balcony and terrace, each room at N Guest House has air-conditioning and heating facilities. All rooms are fitted with clothes racks and personal lockers. Bathrooms and toilets are shared for all rooms. 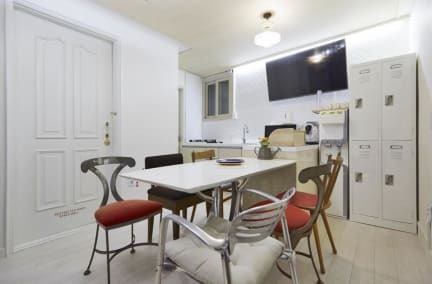 We offers complimentary continental breakfast : toast, jam, coffee, egg, milk and juices between 08:00 and 10:00 daily, all are available at the shared kitchen and dining common area. Services including free luggage storage, free laundry facilities, free transportation card rental service are provided for your convenience. The lively Itaewon Street, full of restaurants and bars, is within a 10-minute walk from N Guest House. Gyeongnidan-gil, another popular dining district, and the renowned Leeum Museum of Art are each a 10-minute taxi ride away.